Dr. Donald Abrams studied medicine at the Stanford University School of Medicine. He did his residency in internal medicine at the Kaiser Permanente Medical Center. 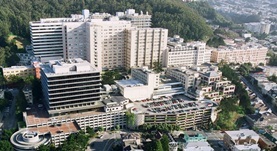 He also did a fellowship in hematology/oncology at the UCSF. He is a board-certified oncologist and has a license to practice in the State of California. 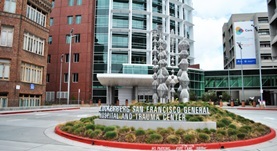 Dr. Abrams practices at San Francisco General Hospital and UCSF Medical Center. He has been in clinical practice for around 20 years and has also contributed to over 35 research papers. Dr. Donald Abrams has contributed to 3 publications. Andreae, M. H.,Carter, G. M.,Shaparin, N.,Suslov, K.,Ellis, R. J.,Ware, M. A.,Abrams, D. I.,Prasad, H.,Wilsey, B.,Indyk, D.,Johnson, M.,Sacks, H. S.; J Pain. 2015 Sep 13. Abrams, D. I.,Guzman, M.; Clin. Pharmacol. Ther.. 2015 Mar 18. A Comparative Study of Molecular Characteristics of Diffuse Large B-cell Lymphoma from Patients with and without Human Immunodeficiency Virus Infection. Chao, C.,Silverberg, M. J.,Xu, L.,Chen, L. H.,Castor, B.,Martínez-Maza, O.,Abrams, D. I.,Zha, H. D.,Haque, R.,Said, J.; Clin. Cancer Res.. 2015 Jan 16.